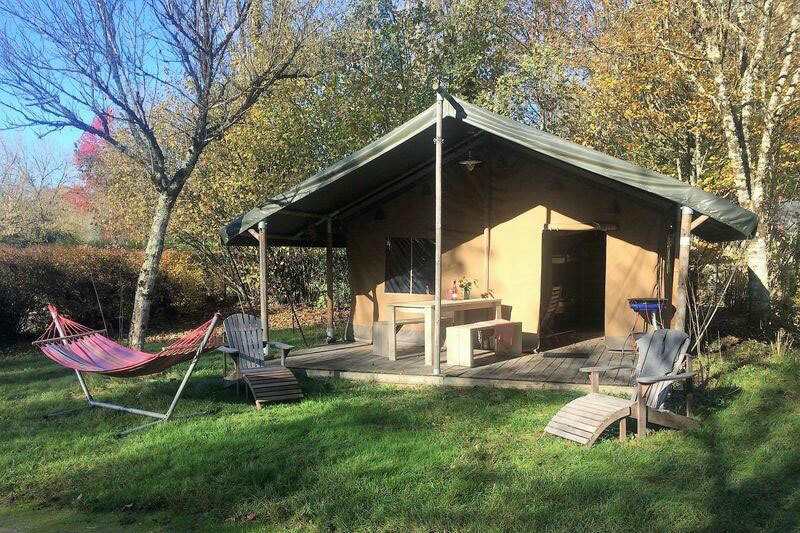 This tent with all mod cons awaits you in the Dordogne-Périgord in close proximity to nature thanks to its terrace – where you can relax amongst the trees. 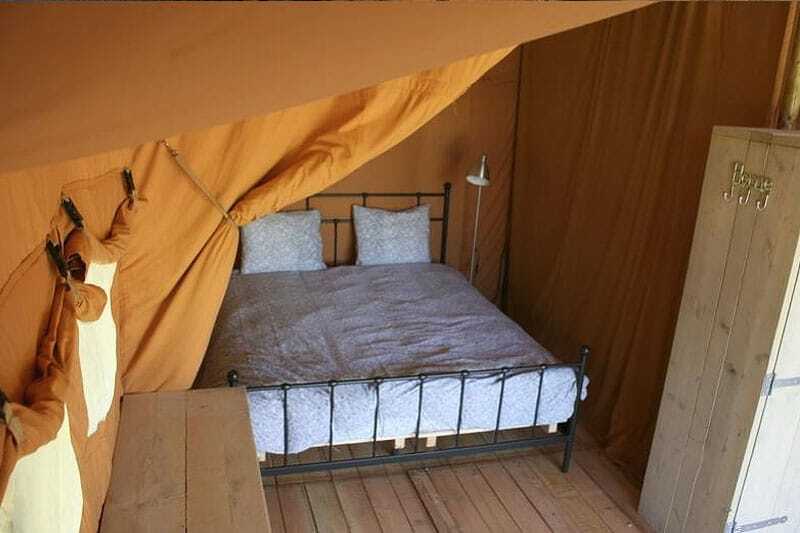 The perfect compromise between the space of a mobile home and the spirit of camping you get from being in a tent. 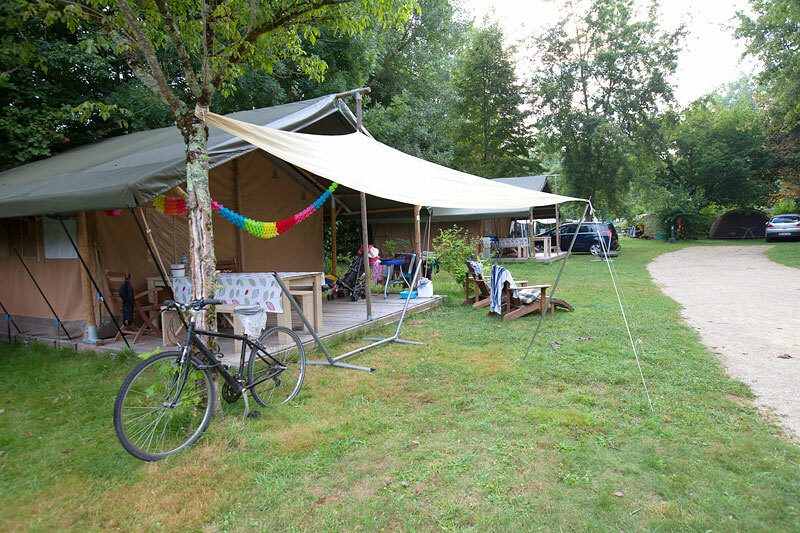 Our wood and canvas ‘Tentes Lodge’ welcome you to the heart of our 3-star campsite in the Dordogne-Périgord, where you will be in the middle of a natural setting in our wooded park. 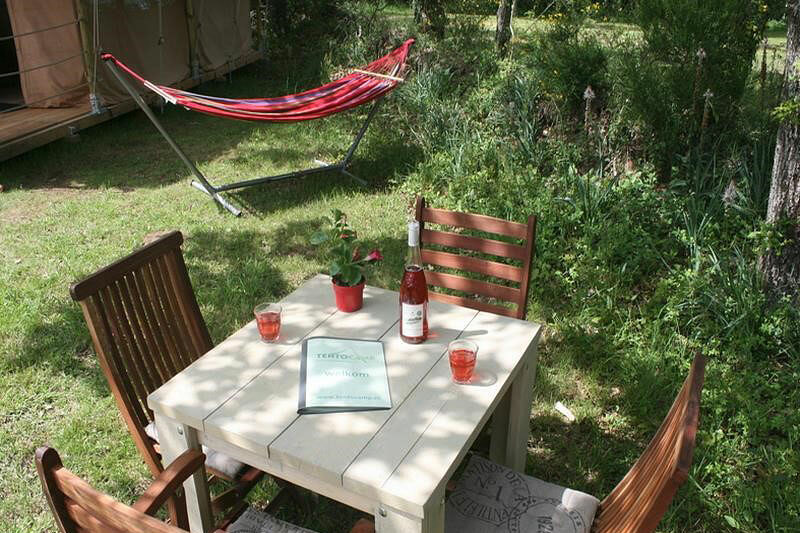 For those seeking the spirit of camping with added comfort, in the Périgord sunshine. 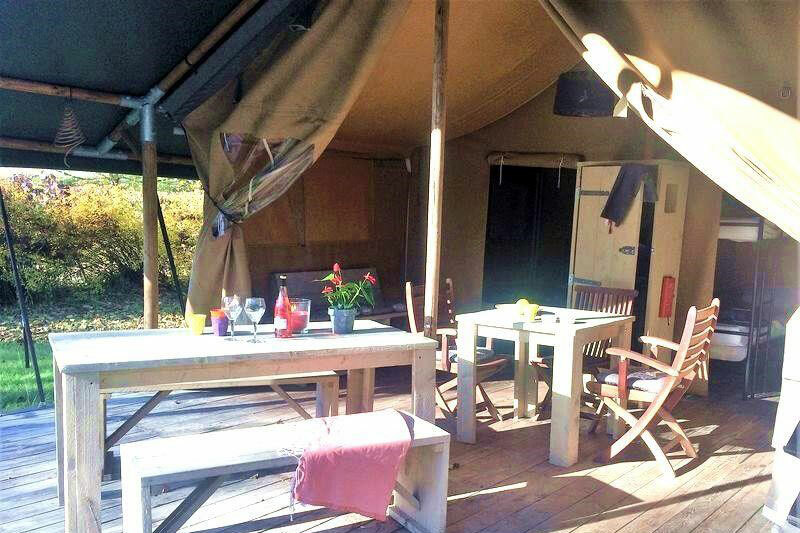 This tent is designed for 5/6 people in two bedrooms, with all the necessary equipment: fridge, microwave oven, hob. 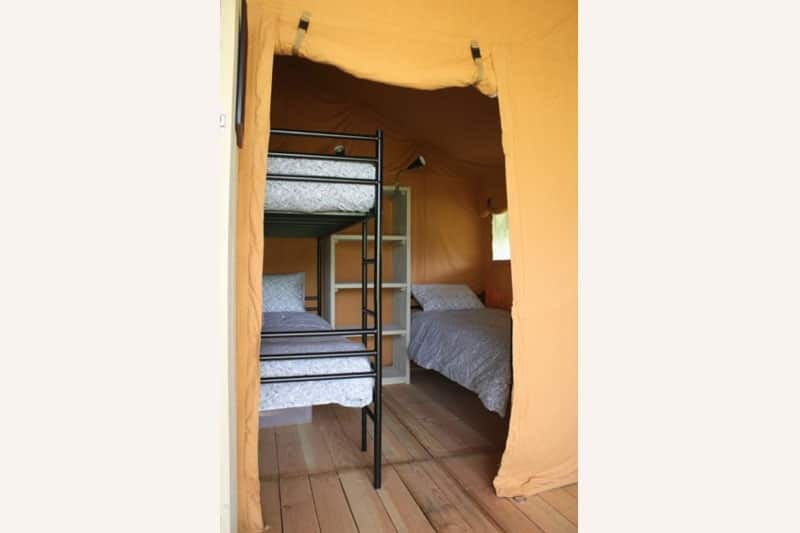 There is no WC or shower, but the sanitary facilities are available nearby. 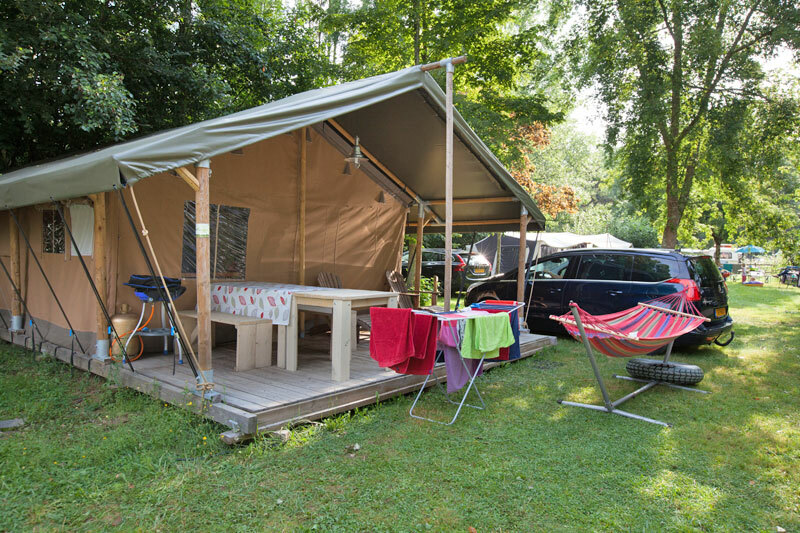 A parking space for your vehicle is available next to the tent. Free standard WiFi (email, social networks), national 4G network cover. No-smoking rental, animals accepted by prior agreement. Arrivals are from 4pm onwards, and departures between 8am and 10am by appointment. During the low season (unlike the high season, when arrivals are on Saturdays only) you can arrive on the day of your choice. 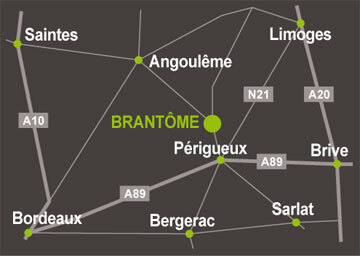 A deposit of 300 euros will be requested upon arrival (PLBS (pre-authorisation) credit card). Your rental is equipped with quilts and pillows – don’t forget your sheets and pillowcases (you can also opt for disposable sheets). Don’t forget a sponge and cleaning products – we will provide you with a broom and mop. We encourage our guests to take out cancellation insurance.